Some of you know the Suzuki Katana? 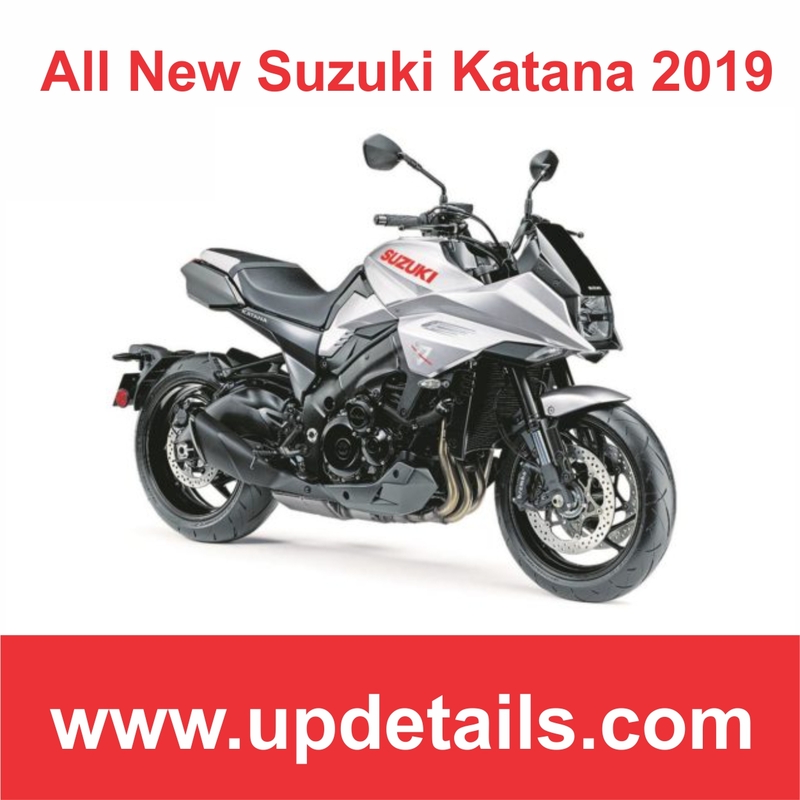 No, not Suzuki Jimny Katana, let alone Satria Katana, what we mean is the figure of Suzuki Katana which is a guide from the Suzuki GS family. Yep, this motorbike is indeed quite legendary, one of them because of its odd shape. 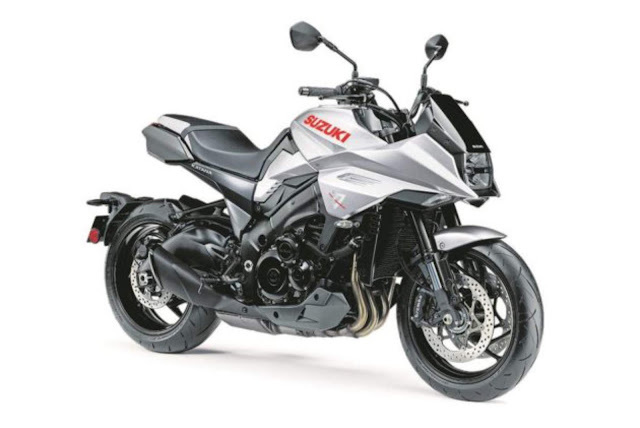 Now, Suzuki sees that this product has the opportunity to be brought back, and voila, this is the 2018 All New Suzuki Katana figure, let's peel it out. Okay, we want to peel the history of the Suzuki Katana first, because there may still be some of you who don't know. So, the name Katana itself refers to the design language "Katana" which was introduced in 1979 to the 1980s. Katana Design is the handiwork of Hans Muth, an ex-BMW designer recruited by Suzuki to improve the image of this Japanese S-logo company. Not alone, Muth took two colleagues, namely Jan Fellstrom and Hans-Georg Kasten in the Target Design team, the team that gave birth to the Suzuki Katana. The design of the Suzuki Katana itself starts with the generation of ED1 and ED2, where ED refers to the European design. Well, one of the most memorable designs is the ED1 tank that connects to the bottom side of the front seat and the side body panel. As a result, the rider is more in an in bike position than on bike. Well, ED1 itself eventually became the Suzuki GS850G Katana, and ED2 which uses a unique fairing on the front side that is like a shark snout. Long story short, the design of the Katana itself became one of the most developed design languages ​​at the time and was applied to several Suzuki products. Starting from the Suzuki GSX1100SZ Katana, in 1981, the Suzuki GSX1100SXZ was rare, the Suzuki GSX1100E, and several other variants. Maybe what is very close to the name "Katana" itself is the Suzuki GS1100S which has not been sold since 2006. After that moment, Suzuki actually wanted to renew their concept by spawning the Suzuki Stratosphere which has ethos design language and is similar to the Katana Design model. 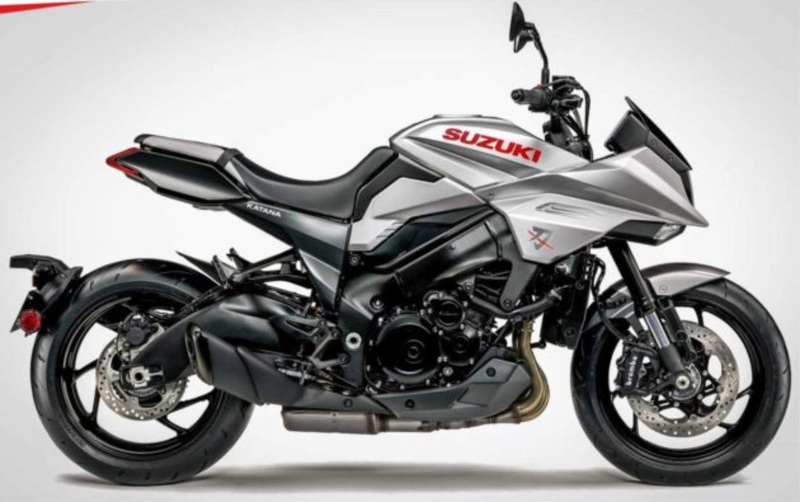 But the project was not heard from 2005 to Intermot 2018 where the figure of the All New Suzuki Katana appeared. Okay, it's enough to play with history, we go back to the present. The figure of the All New Suzuki Katana released in Intermot 2018 can be said to be very cute. The shape of the lights and the tank and the fairing make the two-wheel fans seem nostalgic with Suzuki's past motorbike, but for this product is packed with a more modern final touch. From the front side, the lights are messed up, typical of the old Katana Design motorbikes, but for this motorbike it has adopted LED lighting technology. Well, the box lights are flanked by tapered fairing that flows from the side panel and tank, where on the end of the front fairing this motorbike has a tiny lamp that seems to be a twilight lamp. Just like moge, the legs and suspension of this motorbike are also gambot, with the USD suspension on the front side black and the tiny fender plus two brembo calipers. Sliding a little to the center, this motorbike looks like it has a large radiator, with 4 pipes exposed. Yep, this is a 4-cylinder motorbike, and a 999cc engine that adopts a Suzuki GSX-S1000 engine that has 148 hp with SCEM (Suzuki Composite Electromechanical Material) technology. Continue to the tank section, this motorbike uses a tank that looks flowing in design, beautiful, even though it ultimately sacrifices its tank capacity which is only 12 liters. Swipe back, there is the name 'Katana' written near the seat. 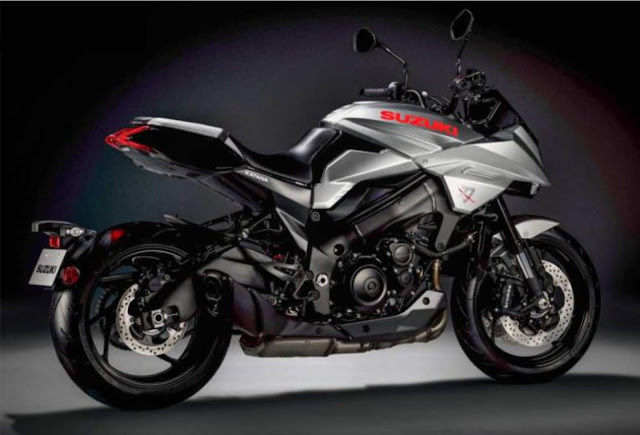 The stern of the All New Suzuki Katana is no less cool. The taillights look tapered with separate fenders that make the underside of the motorbike exposed in real time. The exhaust is minimalist, and looks cute. While the swing arm of this motorbike has been using the 'banana' model of course with a large size. Oiya, the tires used by the All New Suzuki Katana are 120/70 profiled Dunlop Roadsport 2s on the front side and 190/50 on the rear side that wrap 17-inch alloy wheels on both sides. There are three traction modes provided by Suzuki, accompanying other features such as slipper clutch, ABS, low rpm assists, and also instrument panels with digital models taken from the Suzuki GSX-R1000. This motor with a weight of 215 kg is certainly an attractive offer for them - those who want to be different. Unfortunately, the price of this motorbike is still not distributed. So, what do you think? Let's give your comment !! 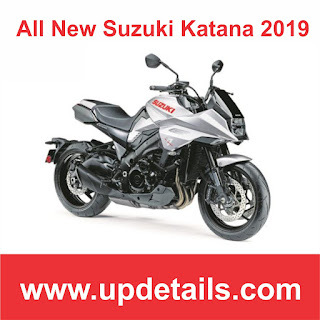 1 Response to "All New Suzuki Katana 2019: When the Legend lives again"